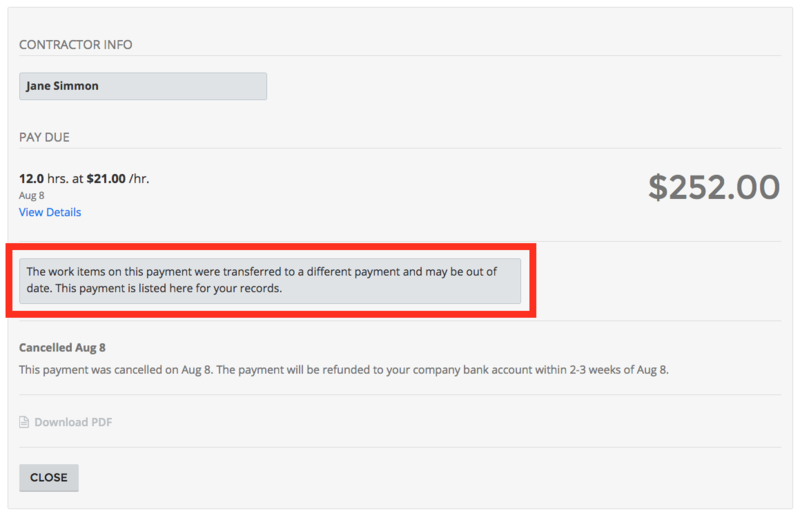 Important: Cancelled payments will be refunded to your company bank account within 3-4 weeks of when the payment was sent. 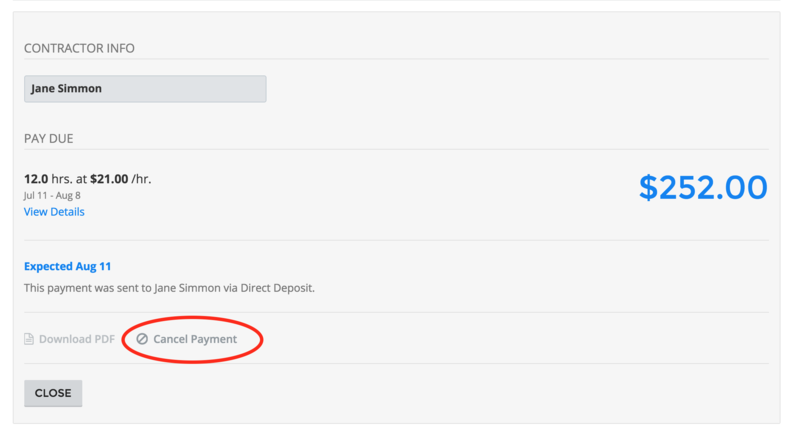 After confirmation, the work items will be moved to a new payment (or an existing payment depending on the situation.) 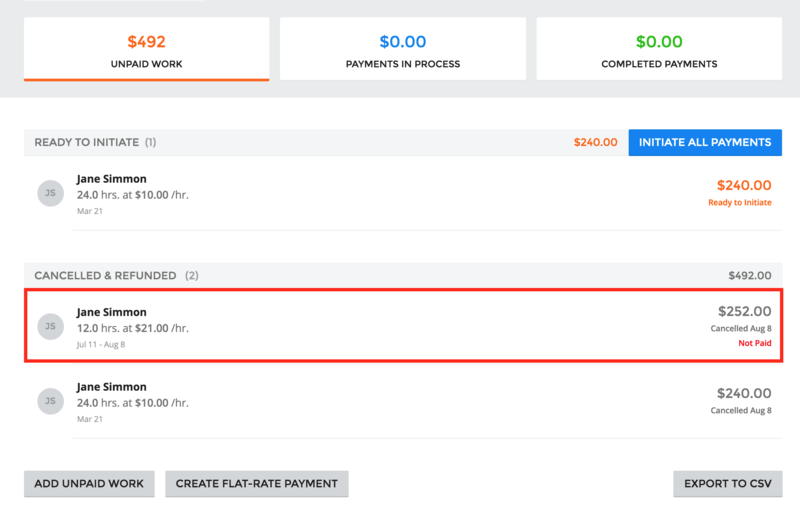 From there, the work items can be updated in the Work tab if necessary, and the payment for the work items can be sent as usual. 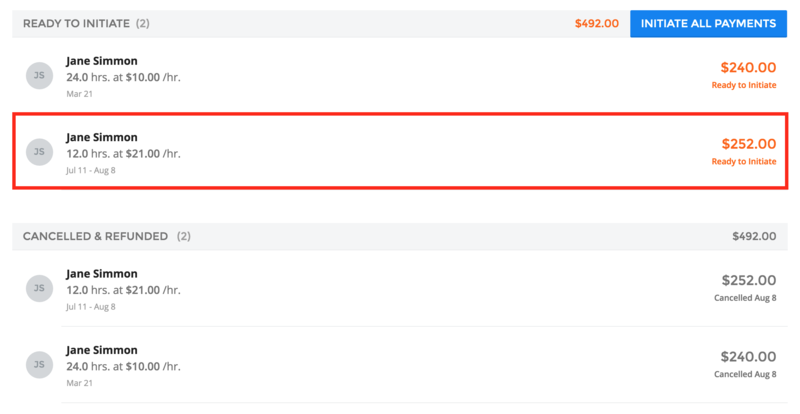 Funds for the payment were withdrawn from your company bank account reason why the payment will transition from a cancelled state to a refunded state within 3-4 weeks of when the payment was sent. 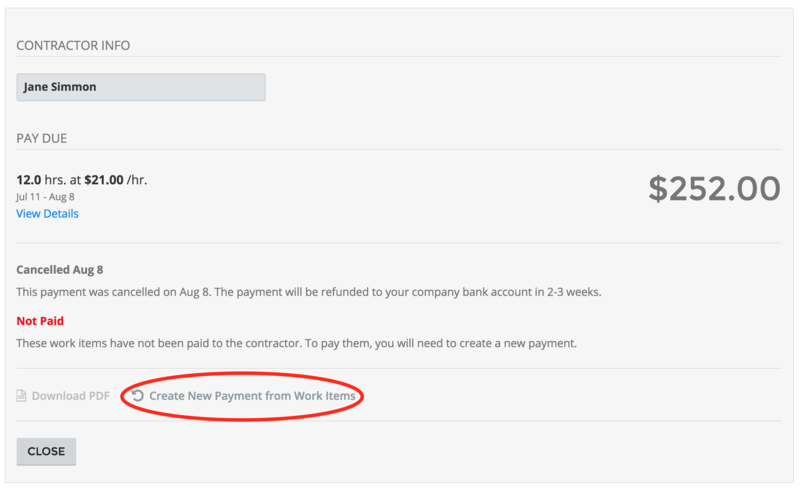 Once the payment is refunded (3-4 weeks of when the payment was sent), the funds should deposit back to your company bank account within 1-2 business days of the refund date.